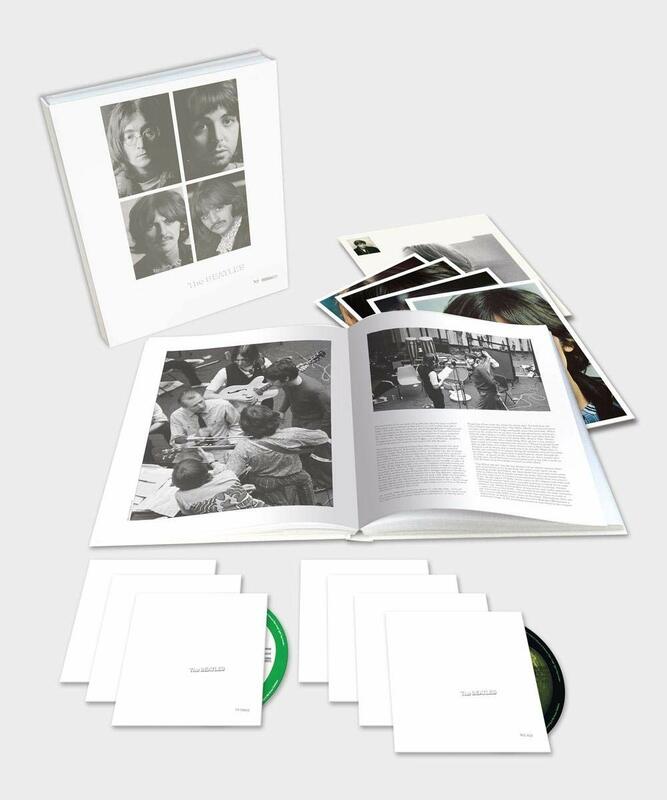 As the albums in The Beatles’ catalog reach their 50th anniversaries, we’re seeing some interesting ‘deluxe edition’ reissue packages rolling out from the vaults of EMI’s Abbey Road Studio. The latest is The Beatles (‘White Album’), which came out around this time in 1968. This double LP came barely a year after Sgt.Pepper, and the work on it started right on the heels of the lads’ trip to India to study meditation with their guru, the Maharishi Mahesh Yogi. 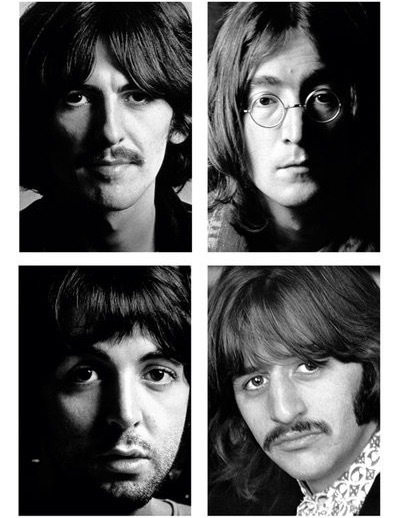 In fact, many of the songs that make up the White Album were written or conceived during that month in India. It’s always been regarded as one of the band’s most unique releases. And as controversial and polarizing as it may have been in ’68, it has aged remarkably well – not much of the White Album sounds dated, in 2018. The 5-month effort to complete the White Album happened during a tumultuous era, and at a time when the Beatles themselves were (again) beginning to strain from the weight of stardom, failing relationships, and the startup of their idealistic company, Apple Corps. The stories behind these recording sessions – even fifty years later – are nearly as fascinating as the music they produced. Some examples? In the month between returning from India and starting the recording sessions, John hooked up with Yoko, left his wife Cynthia, traveled to New York with Paul to promote Apple Corps – where they got a less than enthusiastic press reception; while there, Paul reignited his interest in Linda Eastman, and upon returning home, called off his engagement to Jane Asher. As the recordings continued, The Beatles’ desire for autonomy in the studio (and for creating something much more “live” and unproduced) alienated their producer George Martin, so much that he left the scene and went on holidays in July. The allegations that each of the Beatles worked alone in the studio on their parts is now largely debunked: there was a lot of great collaboration in the process, along with a lot of stress – 102 takes (four days) just to try to include George Harrison’s “Not Guilty” would have left any band with broken bones and a black eye. The added stress of George’s still-frustrated effort to evolve into an “equal” (as songwriter) is juxtaposed by his role in facilitating the sessions and demo recordings that drove the making of the record. And, of course, here is where he makes his mark with While My Guitar Gently Weeps, among other contrbutions. Indeed – and thanks to George – what’s especially unique in the making of the album is the infamous “Esher Demos” tape – finally presented now, in its entirety. At his home in Esher outside London, George had a four-track Ampex recorder, and in a single day in late May 1968, the Fabs recorded 27 songs there – The Esher Demos. These became the basis for what would become the White Album – nineteen of these songs would make the final cut. I’m not quite as ‘sold’ on Giles Martin’s stereo remixes – as with Sgt.Pepper (which I bought on vinyl), they’re interesting, but the original mixes were already so good (and interesting!). It’s true that Giles has in some cases raised the fidelity of the recordings, to some degree. But they’re now digitally mastered, and the analog sound we all grew up with is definitely altered. Still, I recognize that for many newer fans, this is the opportunity to own the physical copies, in new condition. And these physical releases are very nicely done. I’ll have to give these latest Giles remixes a go on my speakers; but the Esher Demos included in these deluxe packages are flat out wonderful (I’ve only heard them on Spotify so far), and are probably as exciting for Beatles fans as anything since Anthology and its concurrent releases. These demo recordings have been circulated as bootlegs, with mediocre sound, but only a handful were ever officially released (in the Anthology package). Most of us have never heard them. 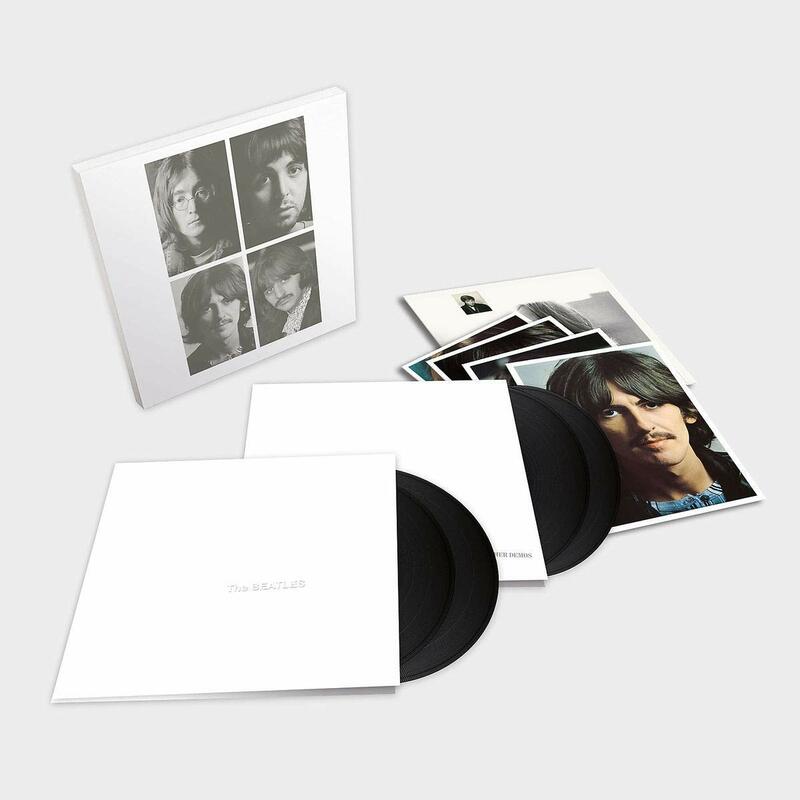 Now they’re an official release, the sound quality is quite good, and they give us something we’ve never had – an unplugged, early (but well-formed) take on the White Album songs. I gotta admit, I’m looking forward to what they do with Abbey Road and Let It Be – the two albums that, at age 11, really turned me into a music nut. For a great song-by-song analysis of The Esher Demos, check out Jordan Runtagh’s article in Rolling Stone. For a look at the physical media releases, Michael Fremer’s unboxing video is a good one to watch. Also check out the latest episode of Jeremy Dylan’s My Favourite Album, a truly great podcast.